Who couldn’t like a book where the main character is the “chocolate whisperer” and there is food and spa items with chocolate in them?! It was like I could almost taste it but without all those calories! I liked the breezy feel of the writing style. It feels like Hayden is just chatting with the reader. It kept me guessing and a had a good plot twist at the end. London writes an engaging story, one that kept me scrolling the pages to see what would happen next. I enjoyed this story and it has a great theme for a cozy mystery. ~Escape With Dollycas Into A Good Book! This is going to be a fabulous series. A chocolate whisperer…who knew? 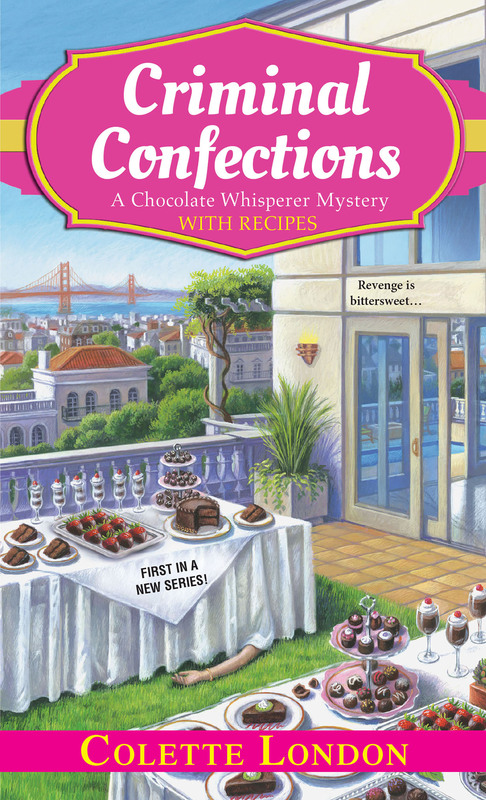 …be prepared for the mouth-watering descriptions of chocolate in this book! Absolutely heavenly. Adrienne Dowling’s heart attack is blamed on an accidental overdose of the secret ingredient used in Lemaître Chocolates’ new line. Hayden can’t believe that conscientious Adrienne would make that mistake. And between chocolate body scrubs, cocoa mud baths, and a non-stop frenzy of chocolate-based treats, Hayden starts to suspect that she, not Adrienne, was the intended target. 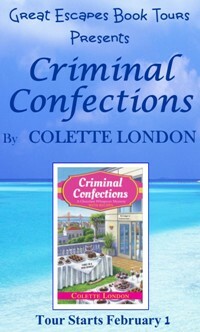 Finding a killer among the rival chocolatiers and potential suspects won’t just be satisfying—it might save her life. Colette London is the pseudonym of a best-selling novelist whose published more than three dozen books worldwide.